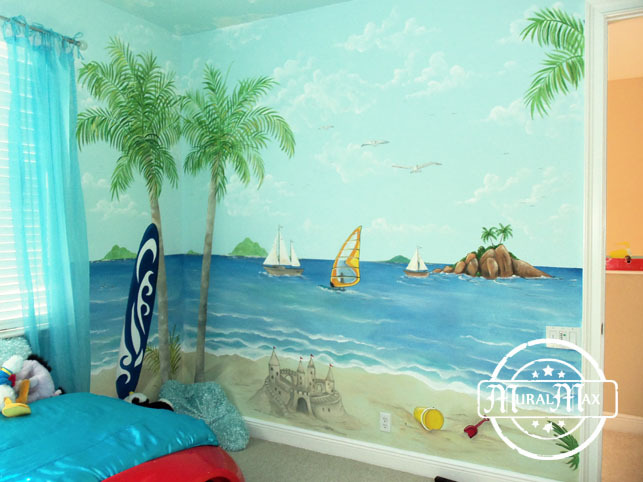 Turn your child room into a Hawaii Beach Paradise with our custom murals. 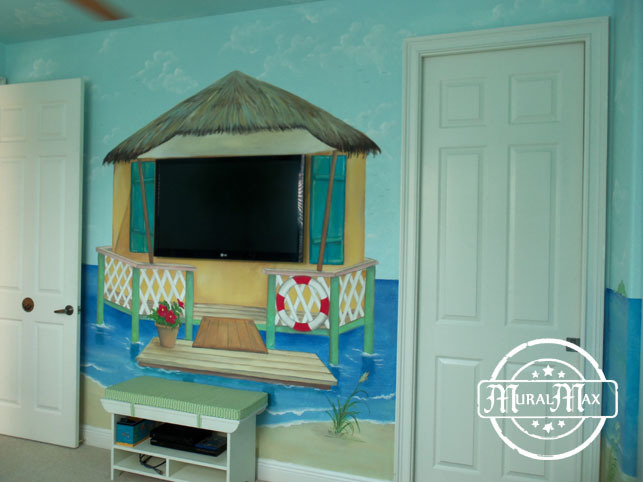 This Hawaiian beach, one of two Hawaiian beach themes done at Three Islands, in South Florida. 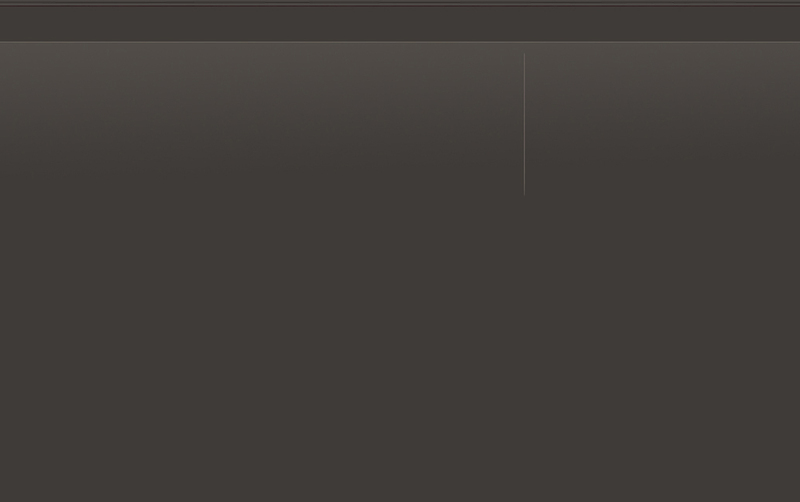 Just chill, that's the feeling you get when entering this room. 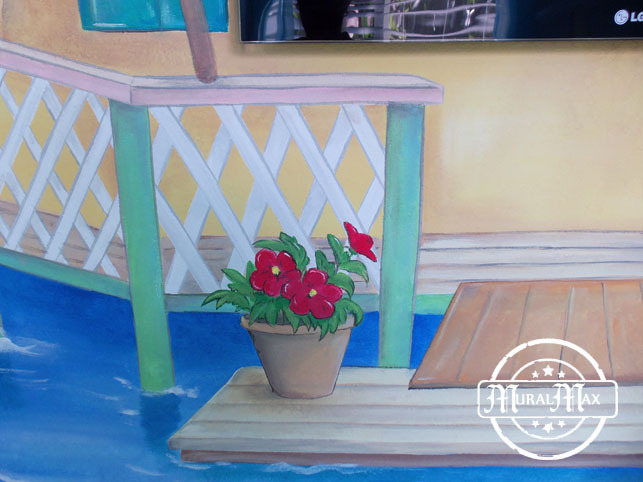 It's very relaxing from the lifeguard station, to the custom painted surfboards leaning against the palm trees. 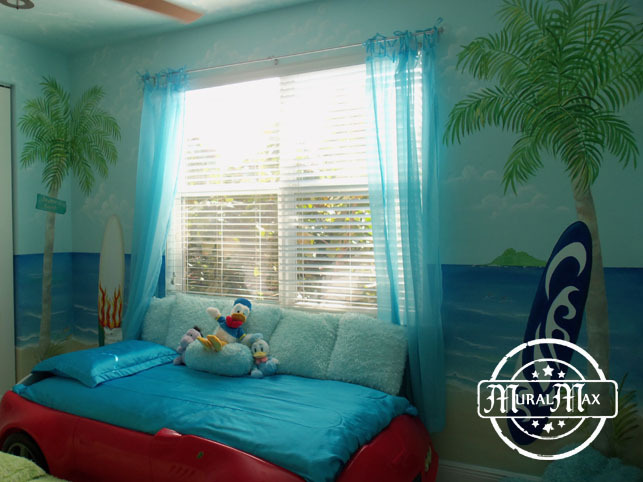 This beach theme with the ocean horizon, and sand castles has it all. Let's go to the beach, and chill ! These two Hawaiian beach rooms are connected by an open corridor, sitting on the sand at the edge of the water. 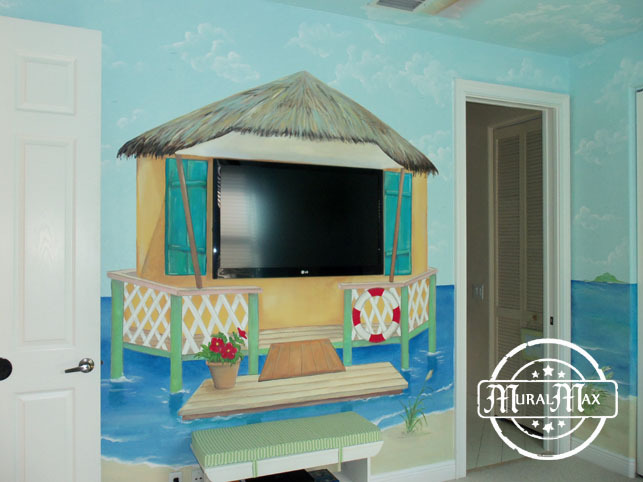 This second Hawaiian beach room, has all the great views of relaxing at the beach. You can sit at the dock and just watch the race boats go by. You can chill on the hammock under the palm trees, and watch the surfers. 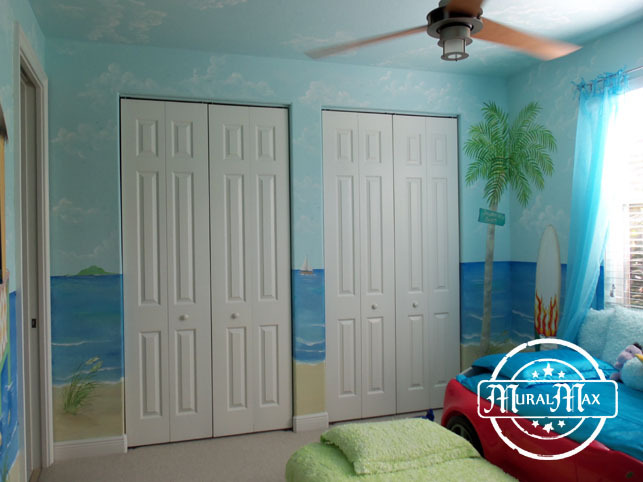 This beach has the ideal location, you can just feel it in your home.